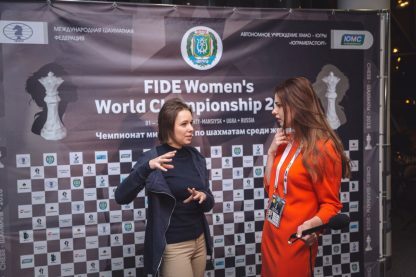 – Mariya, you have defeated Shahenda Wafa from Egypt 2-0 in the first round of Women’s World Championship. How was your first match here? – I won 2-0 but I cannot say that it was a very easy match. Especially in the second game when my opponent tried to play actively and with a loss of tactics. Of course, it is a right decision because this was the only chance to win. But I think it wasn’t in her style to play tactically so, let’s say, I won quite obviously. – Have you ever played with Shahenda Wafa before? 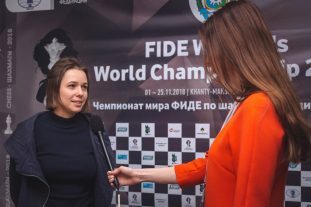 – Yes, I remember I played against her during World Team Championship and I won that game. That was three years ago and that was just one game. So it is hard to say that this statistics is very important for me. – In a knock-out event you have a great chance to see your sister Anna as an opponent. Have you thought before the event about such possibility? 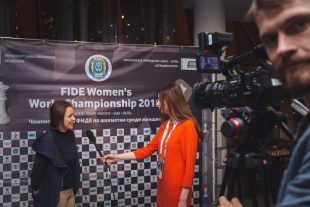 – Of course, it is possible but we can only play with Anna in the final. But I just play round by round and don’t think about it yet.